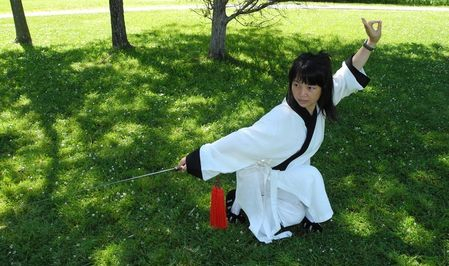 Jing Shuai, is a 16th generation protégé to the ancient Chinese Wu Dang San Feng martial arts lineage, and a Tai Chi instructor who is certified by the Mainland China Martial Arts Association. Born in Szechuan, China, she was deeply influenced by the Chinese traditional fine arts. Recently she has been impressed by the creative and diverse Western art forms. 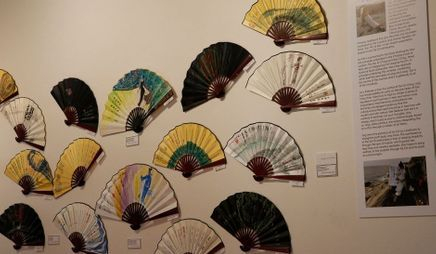 In 2017, she had her first art show“Art of Tao ” at Roost Studio, and her newest exploration for “Art of Tao” will be showcased in April, 2019. 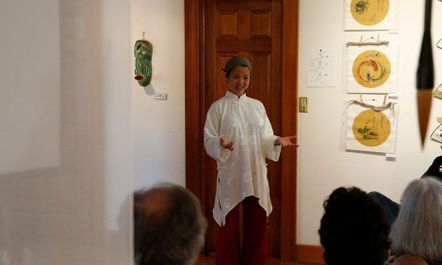 Based on her Tai Chi philosophy, and her research on the applications of multi art forms and internal martial arts for wellness and fitness, she created the programs “The TravelingTao”, “Tai Chi with Music”, and “Fan Your Talents” to complement her “Art of Tao”. 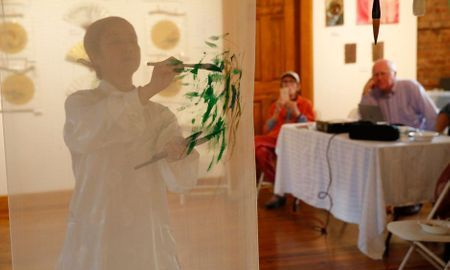 Jing is a DEC 2017 Grantee (DEC is a regrant program of the New York State Council on the Arts (NYSCA) administered by Arts Mid-Hudson.). Her ultimate goal is to help to create a sense of equilibrium and harmony in her students lives. 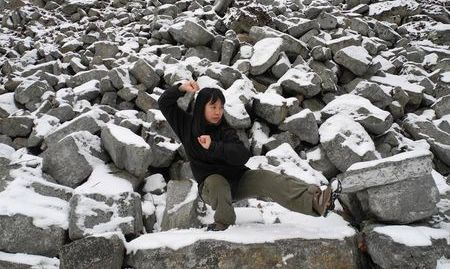 Currently, the group classes Jing has been offering at Roost Studio are for all levels and ages, and more private internal martial art classes including Tai Chi will be offered at her “Tao Tai Chi Studio” in later 2018. "The quintessence of Tai Chi philosophy is that of seeking simplicity through the laws of nature, guides my teaching and my creative aesthetic. I hope to bring wellness to my students through Tai Chi and to share its cultural origins. Since 2005, I have traveled extensively in China researching, practicing Tai Chi and its associated philosophy. I received my prestigious professional certifications and certificates of honor after studying for many years at a number of martial art schools and ancient Taoist monasteries in China. 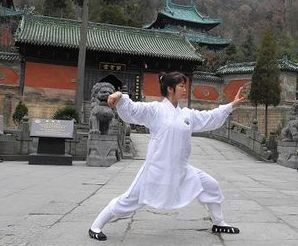 My training took place under the guidance of numerous renowned and respected Tai Chi masters in mainland China. I also studied Chinese Martial Art Grade Regulations and received my Grade Examiner certification in 2012 from the Chinese Martial Art Association for Yang Style Tai Chi. 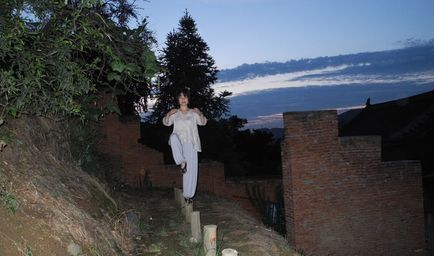 I have been teaching Tai Chi in the New Paltz area since 2011, and my maintaining wellness Tai Chi courses involve Tai Chi fundamentals, Qi Gong,Tai Chi meditations, Tai Chi weapon forms, Tai Chi bare hand solo forms and two person bare hand forms, in order to help students achieve their respective goals. In addition, I offer "Art and Culture of KungFu" for Kids and their parents, and "Maintaining Wellness Tai Chi", "Tai Chi meditation and Qi Gong applications", and "Strength and Serenity" for all ages. These classes are open to all skill levels. My goal is to provide an opportunity for my students to gain an understanding of the Tai Chi culture, maintain their wellness through a Tai Chi regimen, and explore the cultural origin of Tai Chi. To further popularize and promote Tai Chi, from 2016, I started to offer a series of " Introduction to Tai Chi" classes in New Paltz. By understanding the philosophy behind Tai Chi, students will acquire an insight into this ancient moving meditation. I believe that harmony and balance are immortal and elegant evidence that the individual and spirit are in harmony with society and nature. I consider that art is a method to embody our soul, thoughts, and energy, and it is also a way to communicate. 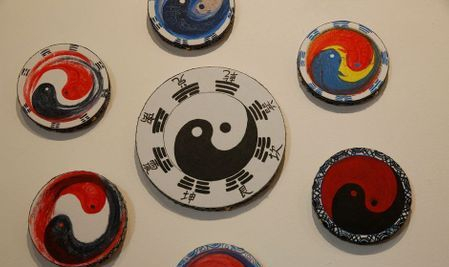 Based on my daily practice, I enjoy interpreting the art of Tao through a variety of art forms. 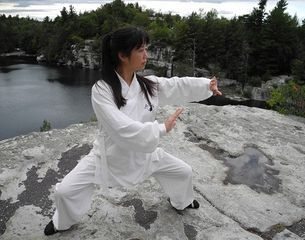 I view the practice of Tai Chi as a pathway to strengthen both body and mind.